The College of Business Administration at the University of Tennessee consists of approximately 7,500 undergraduate and graduate students, 120 faculty, and 125 staff members with a commitment to developing and becoming Mindful Leaders of Worthy Enterprise. We include our alumni among our constituency and are particularly thankful for the 2,800 alumni who contribute each year and the 500+ who participate in our gift societies. They additionally provide continuing guidance through our college, departmental, and program-based advisory councils. Alumni gifts allow us to provide over 280 scholarships to our students and over 35 chairs and professorships to our faculty. Big Orange, Big Ideas is a slogan we often hear at UT, and we in the College of Business Administration believe we have many big ideas. Among these ideas are our four strategic initiatives – scholarly endeavors where we believe we are or can be true global leaders. In addition our Center for Executive Education (CEE) has served for years as a really big idea. Our window to the business world, CEE is both a source for new ideas and a proving ground for the value of our research. We have many other programs, research centers, and initiatives that go beyond what is expected, and add value to our students, our state, and our greater community. Please take the time to explore the many ideas and programs that make our college a unique and exciting place. The College of Business Administration at the University of Tennessee consists of approximately 7,500 undergraduate and graduate students, 120 faculty, and 125 staff members with a commitment to developing and becoming Mindful Leaders of Worthy Enterprise. We include our alumni among our constituency and are particularly thankful for the 2,800 alumni who contribute each year and the 500+ who participate in our gift societies. They additionally provide continuing guidance through our college, departmental, and program-based advisory councils. Alumni gifts allow us to provide over 280 scholarships to our students and over 35 chairs and professorships to our faculty. Big Orange, Big Ideas is a slogan we often hear at UT, and we in the College of Business Administration believe we have many big ideas. Among these ideas are our four strategic initiatives – scholarly endeavors where we believe we are or can be true global leaders. In addition our Center for Executive Education (CEE) has served for years as a really big idea. Our window to the business world, CEE is both a source for new ideas and a proving ground for the value of our research. We have many other programs, research centers, and initiatives that go beyond what is expected, and add value to our students, our state, and our greater community. Please take the time to explore the many ideas and programs that make our college a unique and exciting place. 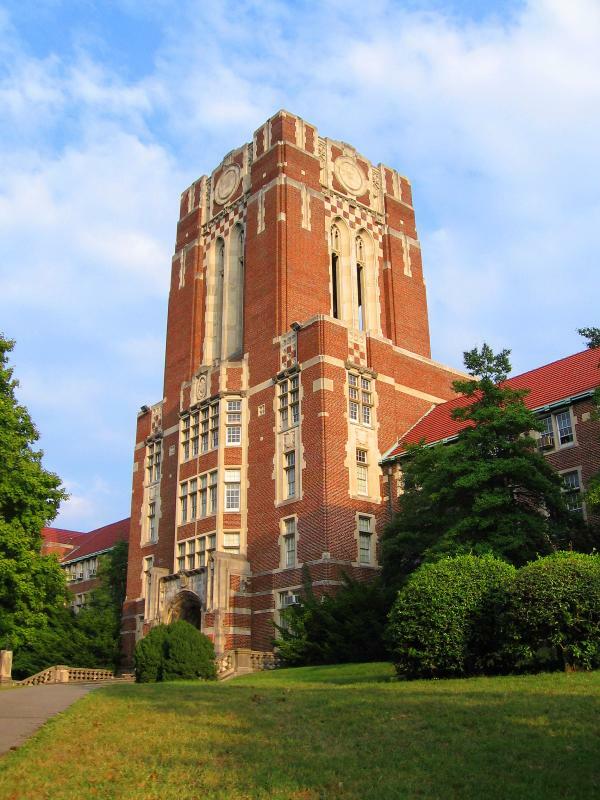 To apply for University of Tennessee at Knoxville's MBA program, students must submit a completed application form, undergraduate transcripts, a GMAT score report, two letters of recommendation, and four personal essays. A personal interview is also recommended. Students must have a minimum GPA of 2.7 to be eligible for the program. International c...To apply for University of Tennessee at Knoxville's MBA program, students must submit a completed application form, undergraduate transcripts, a GMAT score report, two letters of recommendation, and four personal essays. A personal interview is also recommended. Students must have a minimum GPA of 2.7 to be eligible for the program. International candidates must have the equivalent GPA of 3.0 on a 4.0 scale. In recent years, incoming students had an average undergraduate GPA of 3.0, an average GMAT score of 606, and average work experience totaling almost three years. Connections and opportunities abound. “The program emphasizes career placement and devotes a lot of time to teaching business skills needed for effective job search and inter­viewing.” The staff can be “instrumental in making professional connections.” The pro­gram here provides “a lot of networking opportunities in the southeast.” In addition, the faculty “are very active in helping find internships as well as providing interview prep and resume writing assistance. They provide a lot of networking lunches, dinners, and other opportunities as well as interesting speakers like the CEO of Walmart.” Most students find placement in the South (about 50 percent) and the Midwest (about 20 percent), with 40 percent of graduates taking jobs in logistics or operations. In recent years, graduating UTK students reported a mean base salary of about $75,000, with a salary range between $33,000 and $100,000. Designated funds for attending Reaching Out MBA conference. Diversity program within the college; also designated funds for attending the National Black MBA Association conference and participating in a National Black MBA Association case competition team. active MBA Women International student group and designated financial support for women who would like to attend the MBAWI national conference. Want more info about The University of Tennessee, Knoxville, College of Business Administration Full Time MBA? Get free advice from education experts and Noodle community members.